As you look around the site for The Conversion Pros (TCP), you will be amazed at all of the things you have access to with your account. As well as all that YOU can do with all of these business tools! CLICK HERE TO GET YOUR FREE TRIAL RIGHT NOW. Then CLICK HERE to take care of a few details before you start exploring all of the things you can do with your TCP tools. When you have more time to spend, go back and browse through as much of the material as you have time for. There are many short (less than 5 minutes) videos showing how to do specific tasks. Dave did this so you don’t waste your time watching videos instead of creating TCP masterpieces. The Conversion Pros believes strongly in paying it forward so that you can create your Legacy and live the life you desire, on your terms. Instead of “hauling buckets of water”, you create a “pipeline” that will bring you a constant flow of new sales as well as a residual income that will grow month after month as you continue to promote the TCP system to your contacts. We’re talking about a system that once it’s put in place, it continues to expand, gushing commissions like a pipeline long after it was built. Imagine if YOU own that pipeline! TCP richly rewards those that take their message forward. Weekly payout. Any sales completed by Friday are paid the following Friday. Refer Two and Yours is FREE! Here is all you have to do. Show people the tools. They will practically beg you for them anyway, because, this system will make their current business take off like a rocket ship! TCP then splits the profits with you and gives you 50% on every sale. 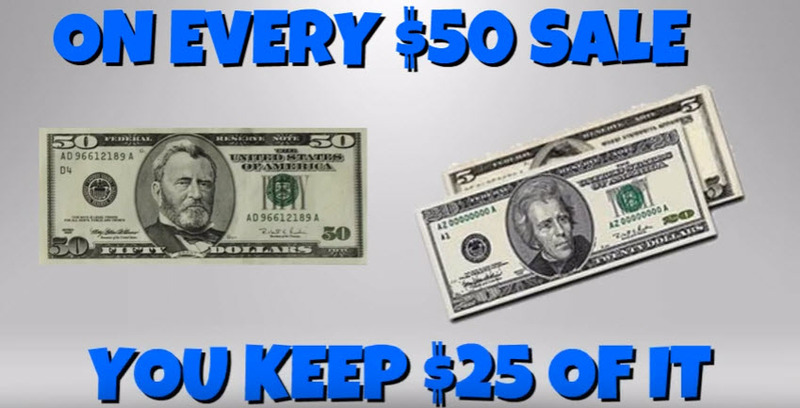 So on a $50 sale, YOU keep $25 of it. It doesn’t get more fair than that. 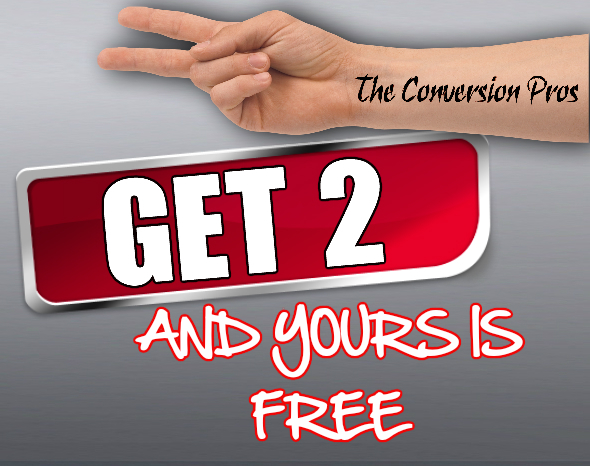 Imagine how easy sales will be when your prospects realize they can have The Conversion Pros system for FREE as well! YOU receive 50% Monthly Residual on every sale you refer. 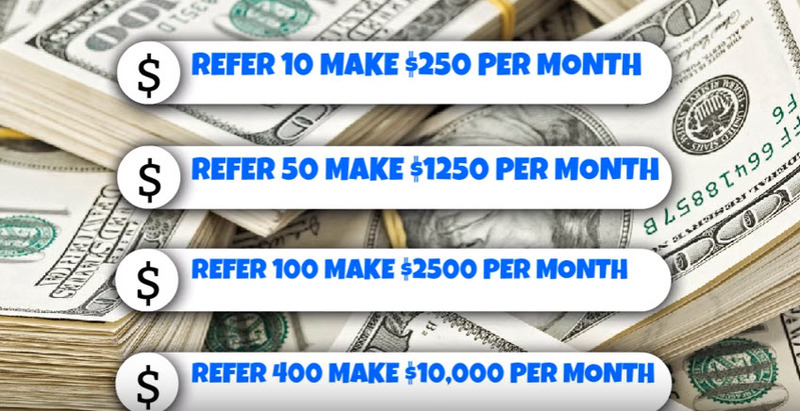 This can quickly add up to some serious income as you continue to refer sales month-after-month, at the same time your previous sales continue to make their Monthly Membership payments. 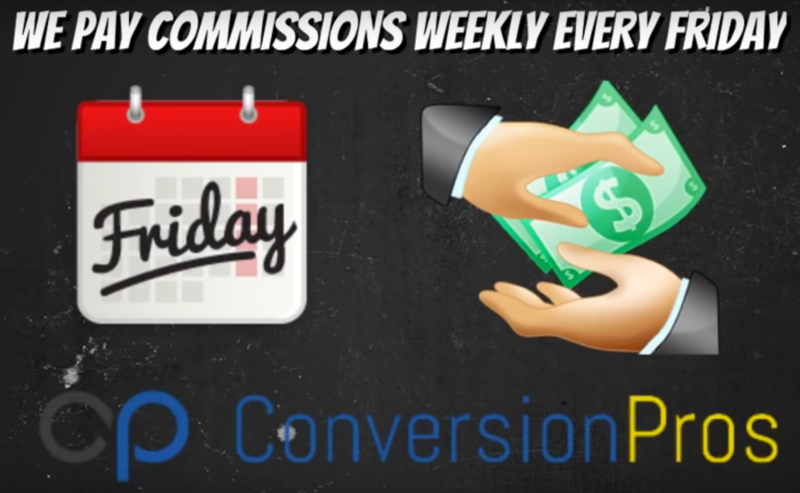 So the question is: Can this be a significant income stream to the affiliates that choose to market The Conversion Pros system? Well, let’s take a look at a few examples and you decide. What if you refer an entire team or company? Some Affiliates are doing that right now! If you have a company or a big leader, contact us to share in profits from the entire team! You make the sale and The Conversion Pros takes care of the rest. TCP does all the training and support. You simply refer your sales and get paid. It’s that simple! TCP pays out every Friday. First thing to know is when a member joins for free there has not been any money sent in to the company. So TCP doesn’t pay out until someone upgrades and pays their membership. Any money collected before FRIDAY at 11:59 Pacific time is paid out the following Friday. The earnings used as examples in any presentation of The Conversion Pros (TCP) or by any other Affiliate already involved with The Conversion Pros, are not necessarily representative of the income, if any, that a TCP Affiliate can or will earn through his or her participation in the TCP Compensation Plan, but simply are used as examples. These figures should not be considered as guarantees or projections of your actual earnings or profits. Any representation or guarantee of earnings would be misleading. Success with TCP results only from successful sales efforts, which require hard work, diligence, and leadership. Your success will depend on how effectively you exercise these qualities.